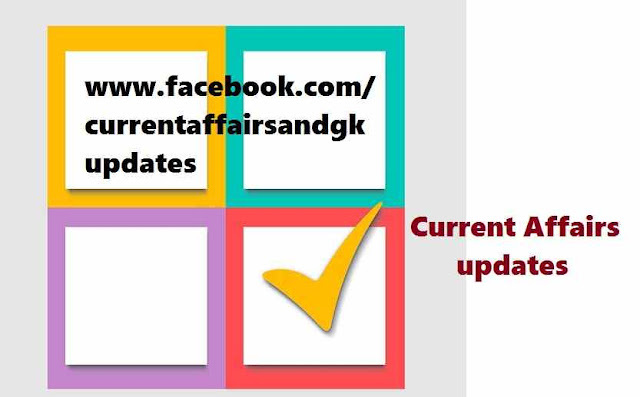 Today in every competitive exam there is section called General Awareness Section.This section consists of General Knowledge(G.K.) and Current Affairs Updates.This section plays an important role in scoring.Updates till 26 August are covered. Updates on 24 August,25 August and 26 August are covered. Postal,Insurance and other state level recruitment tests. 1.Sensex crashes 1624.51 points on Monday.Investors lost Rs.7 Lakh Crore.This is the biggest crash in over 7 years.The Sensex closed at 25,741.56 points at the end. 2.US President Barack Obama appointed Indian American federal judge Vince Chhabria along with 10 others as full time judges. Chhabria completed his Bachelors' in Arts in 1991 from the University of California-Santa Cruz. 3.Minimuluru Estate of Arakku Valley won The Fine Cup of Coffee Award 2015.The Coffee Board of India annually presents this award to encourage this industry. 4.Shelly Ann Fraser Pryce of Jamaica won the women's 100 metres final during the 15th IAAF World Championships at the National Stadium in Beijing. 5.David Rudisha of Kenya won 800m Gold at World Championships. He tasted the victory in 1:45:84 seconds.He is the current Olympic Champion and world record holder in the 800 metres. 6.South Africa's Wayde Van Niekerk won 400m final at the World Athletic Championships in Beijing. 7.Missile Complex Hyderabad which comprises Defence Research and Development Laboratory,the Advanced Systems Laboratory and The Research Centre Imarat to be named as Dr A P J Abdul Kalam Missile Complex (According to sources).